Yamina is a Nigerian young adult living in Germany with her little brother and her father. On the evening of her 18th birthday, her father is called to work. Before going to sleep, Yamina reads to her brother from the Little Prince. Nadir doesn’t like the end, so he imagines his own one. Suddenly police is knocking at their door: Yamina is supposed to be deported – alone and without her family. She wants to make a very serious decision until she remembers Nadir’s End of the Little Prince. Tobias Mrosek, born 1989 in Germany, studied Electronic Media (M.A.) at Hochschule der Medien Stuttgart. During this time he shot fashion films, music videos and shorts. 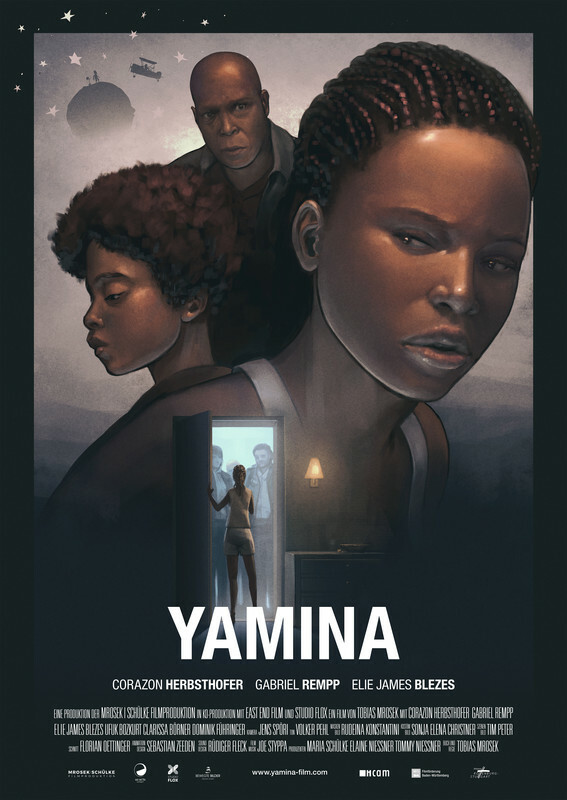 His short „YAMINA“ (2017) was awarded “extremely valuable” by the German Film- und Medienbewertung. Tobias Mrosek is working as project manager for film and interactive media, such as museums, exhibitions and fairs.